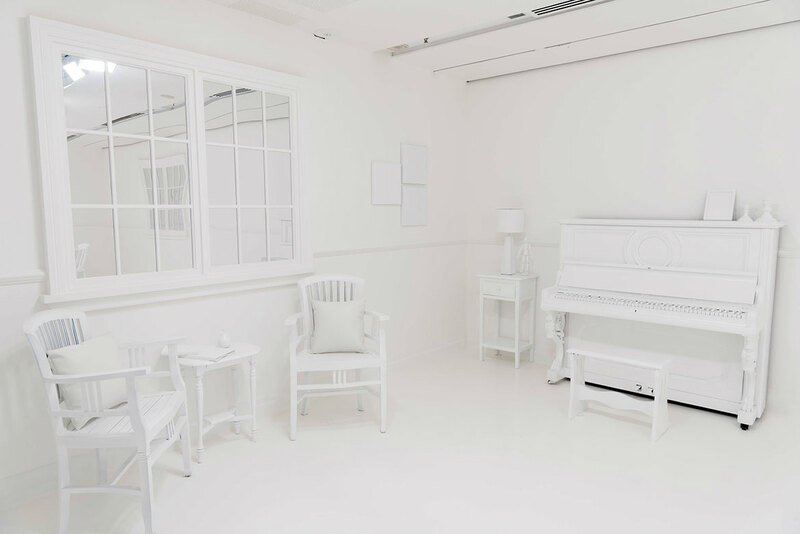 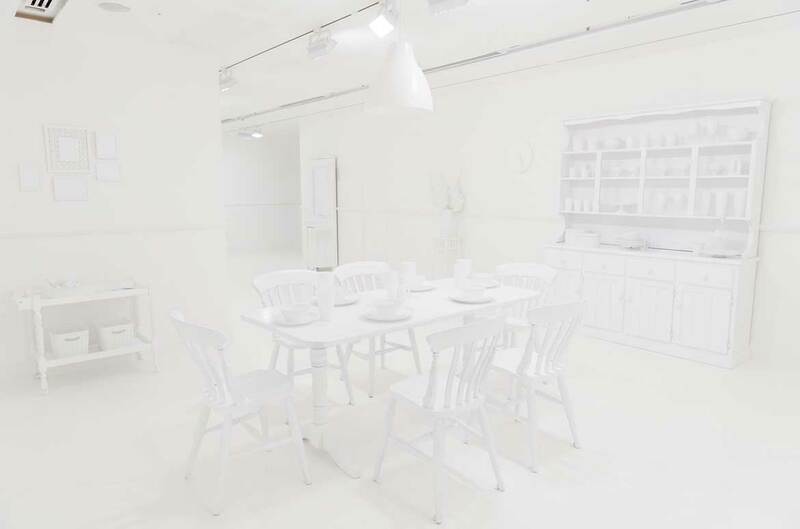 We can’t believe our interactive installation once was pristine white when it opened in October 2017. 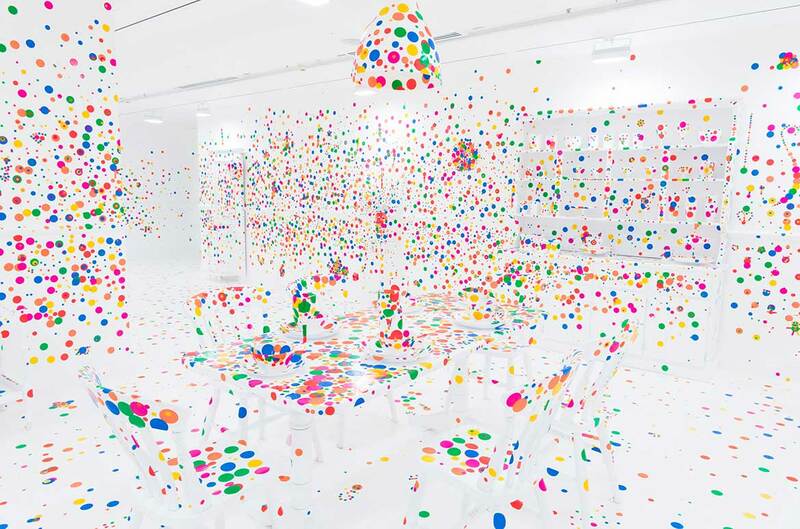 The obliteration room 2002 to present is transformed over time as dots accumulate in the space, so enter the world of leading contemporary Japanese artist Yayoi Kusama before it closes on Sunday 4 February, add your colourful dot stickers to a range of white furniture and surfaces and help ‘obliterate’ our domestic space. 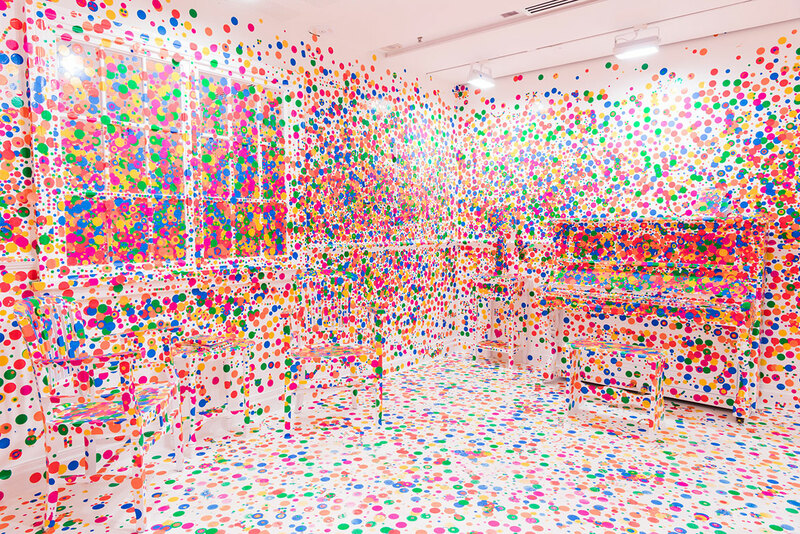 Why dots? 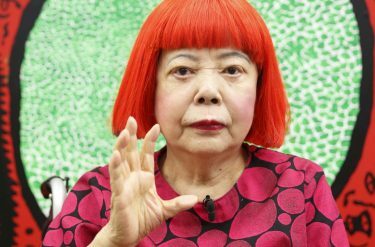 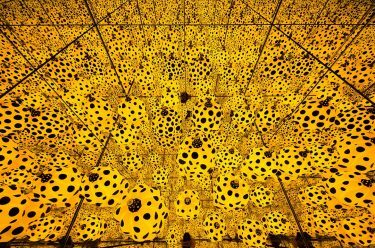 When Kusama was young, she started seeing the world through a screen of dots, they covered everything she saw – even her own body. 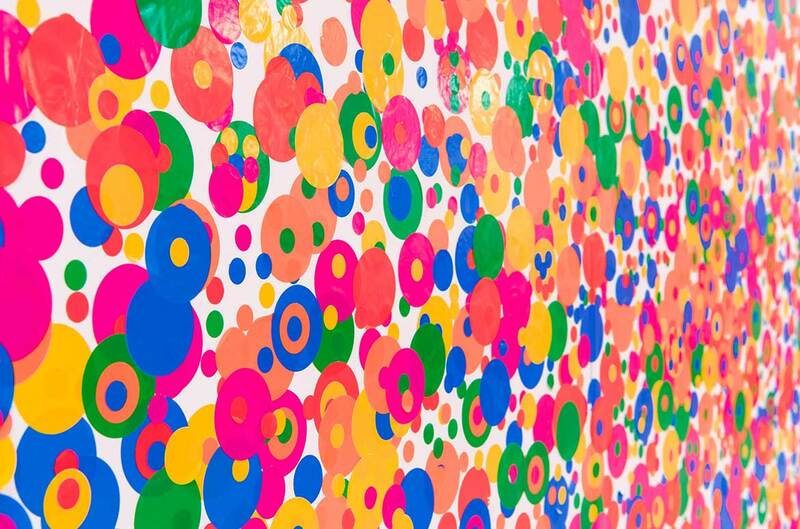 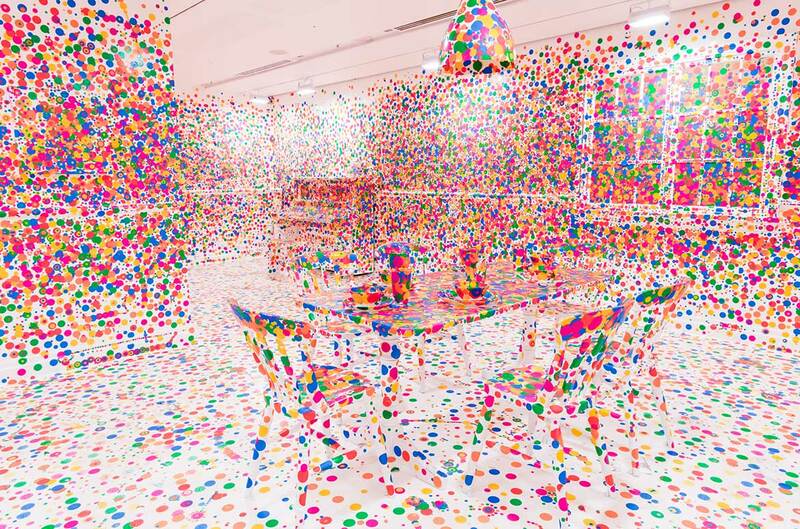 In her artwork, Kusama uses dots, she calls this process ‘obliteration’ – the complete destruction of every trace of something. 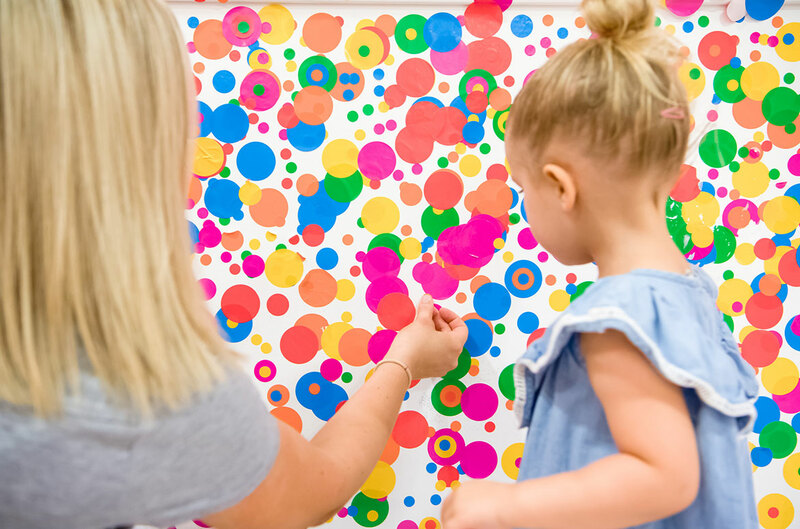 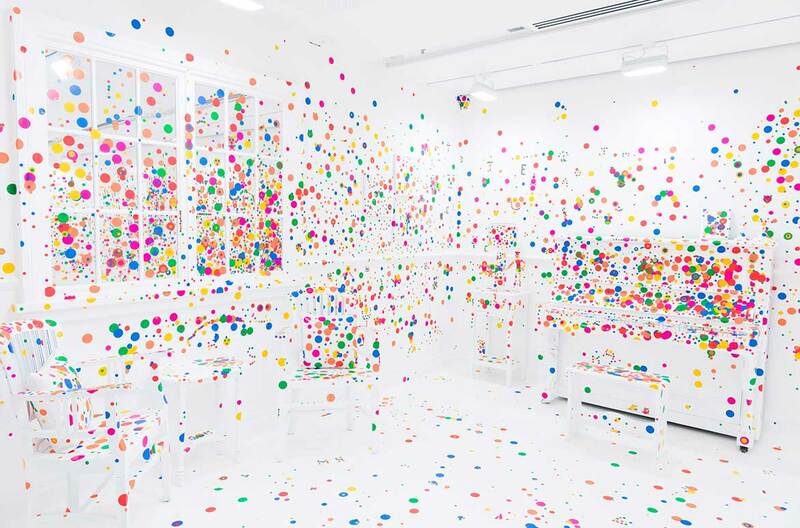 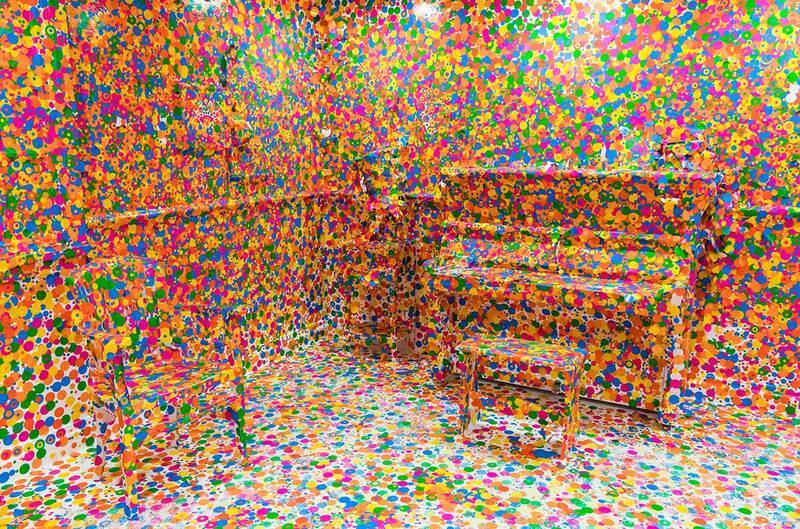 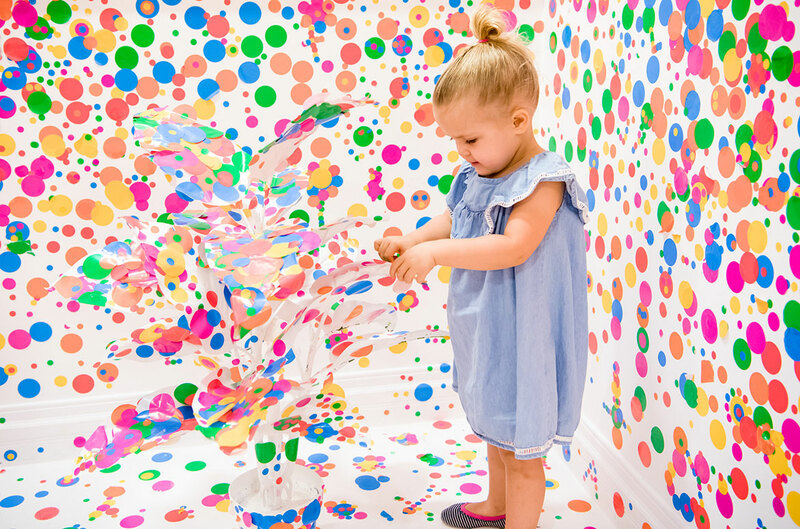 QAGOMA’s The obliteration room revisits the popular interactive children’s project developed by Kusama for the Gallery’s fourth Asia Pacific Triennial of Contemporary Art in 2002. 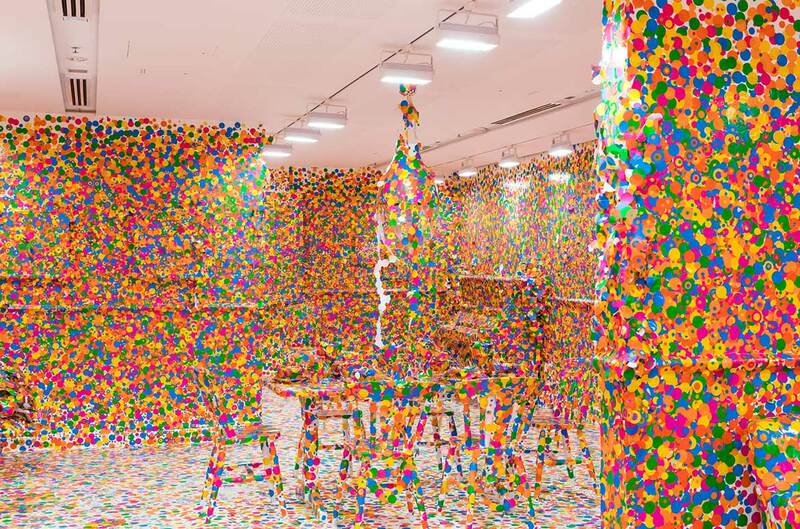 This current installation coincides with ‘Yayoi Kusama: Life is the Heart of a Rainbow‘ on show until Sunday 11 February 2018.